I wonder if anyone can give me some advise, I am new to the forum and so forgive me if this has been covered, I have searched but can't seem to find what I need to know. Then I was struggling to get the volume any higher because the l1 compact was going into the red. I have 2 of the l1 compacts, so I thought next time I do this gig I will take two and daisy chain them. The problem was this was worse than using one L1 compact I had to turn the line volumes and master very high on the T1 to get good volume. I checked the normal stuff like levels from the laptop and the levels were good. So I can't understand why, any help would be much appreciated. edit title: Previously "L1 Compact"
You will get better results using 1/4 inch (6.3 mm) Tip-Ring-Sleeve cables from the T1 to the first L1 Compact and from the first L1 Compact to the second. 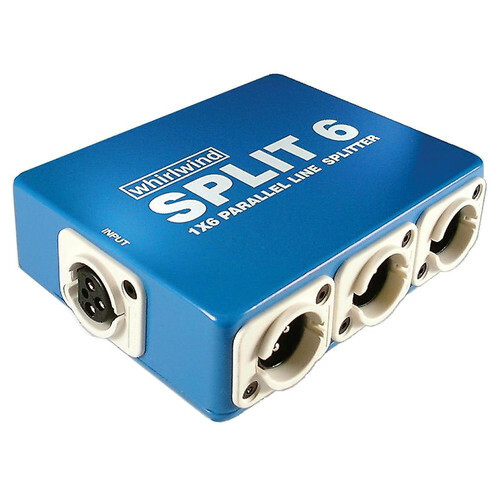 My preference is not to daisy chain my two L1 Compacts or S1 Pro's, I use a Whirlwind Split 6, 1 in from the Bose T1 and up to 6 outs available for whatever equipment is needed. Thanks very much for the reply, will this make a big difference to the volume?? the reason I didn’t use a TRS cable is because I read somewhere on another forum that the 1/4” input and output should be mono only. Another way I thought was using the Aux output on the same channel. So have one L1 compact on the master and one on the aux?? would that be better than daisy chain?? Is there an equivalent in the UK of a Whirlwind Split 6 that you know of because this is a US product?? 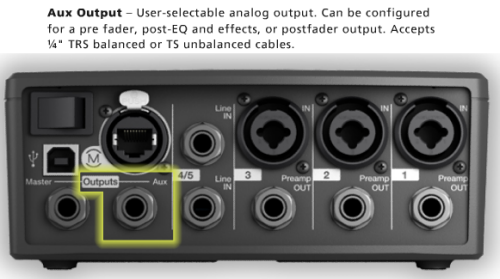 An unbalanced connection (what you get with a 1/4 inch (6.3mm) Tip-Sleeve cable) has a -6dB lower signal than the recommended balanced connections (what you get with the 1/4 inch (6.3 mm) Tip-Ring-Sleeve cable). There's lots of confusion out there between stereo/mono and balanced/unblanced. Another way I thought was using the Aux output on the same channel. So have one L1 compact on the master and one on the aux?? You can do this, however - if you are using reverb on the vocals you will find there's no reverb on Aux. Here are some more notes. There's nothing wrong with daisy chaining the L1 Compacts. Bose built-in the capability to do it with the LINE OUT. Note - for best results - put the L1 Compacts at least 10-15 feet apart (3 to 5 meters). The wider apart you put them, the more benefit you gain from having two. Sorry, I meant to mention that in my post above. You have been extremely helpful.